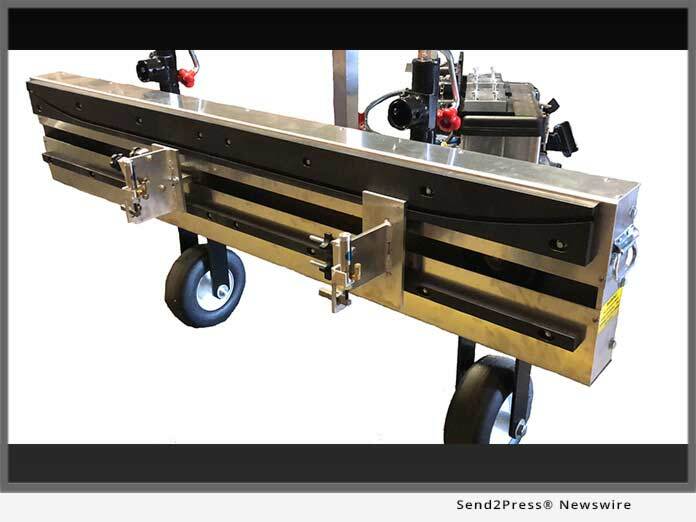 CANTON, Ohio, Feb 06, 2019 (SEND2PRESS NEWSWIRE) -- SprayWorks Equipment Group is proud to announce its new invention, the Coaterbot. Created by long-time Polyurethanes equipment inventor and founder of a 4th generation company - James Davidson created the Coaterbot to cover a broader spectrum of material applications. * Upgrade option for SprayBot Ultra. Similar to its sister products, the SprayBot (designed in 2004) and the SprayBot Ultra (2011), the Coaterbot delivers a 78-inch wide pass with a variable height of 12-36-inches - while operating with a two-person crew. The Coaterbot was designed with thin and thick film coating applications in mind. The Coaterbot has the ability to apply a much broader range of materials including; foam, coatings, Polyurea, Roof CTG, Floor & Parking CTG, Primary & Secondary Containment - just to name a few. "I designed the Coaterbot with a broader range of material applications in mind," says Jim Davidson, Owner, SprayWorks Equipment Group. "Catering primarily to airless and conventional multi-component applications, it creates labor and material savings with unmatched precision." SprayWorks Equipment Group is a spray foam and polyurea company; supplying equipment, training, material, mobile rigs, and parts - and a distributor for PMC, Graco, and Gusmer equipment. With nearly 100 years of combined experience, SprayWorks has knowledge in commercial and residential buildings, bridges, and infrastructure. SprayWorks provides training and education for new contractors and equipment operators; open cell, closed cell, polyurea & coating applications for interior & exterior building envelope design, waterproofing, below grade, bridge deck, barge, secondary containment all types of roofs and structures.